| Interview by Daniel Codella conducted on November 22, 2010. 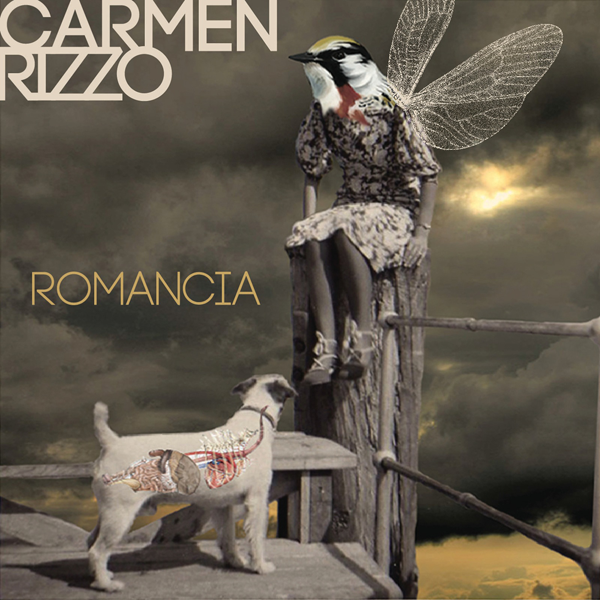 Carmen Rizzo is part of the new breed of audio professional that is shaping the current music industry. With labels trying to get the most bang for their buck, the lines between musician, producer, and engineer are often blurred. Carmen seems perfectly at home in any role, and does each exceptionally well. A two-time Grammy nominated producer, Carmen is also a much sought after remixer, critically acclaimed solo artist, composer of videogame themes, and member of a groundbreaking genre-crossing band called Niyaz. During his career, Carmen has worked with artists like Alanis Morissette, Paul Oakenfold, Seal, Coldplay, Jem, and Esthero. Carmen's sound is always lush and detailed, and marries both raw, organic instrumentation with cutting edge electronic beats. Writing from his current gig in Prague, Carmen took time to tell us how much he's been enjoying DrumCore and offers a few tips for aspiring producers. How did you get into engineering/producing? I was a drummer in bands as a kid, but wanted to be a pro Baseball player. It never happened, so I moved to LA at the age of 19 with $1000 and did not know anyone, started off as a runner at Westlake Studios in 1984 and learned the ropes of what engineers/producers do. Well, I have my current album out, "Looking Through Leaves", I just did a remix for AR Rachman and Dido for the new Danny Boyle film, started the new Niyaz album which I am a member of, and am currently in Prague producing a new rock band here called Popcorn Drama. What does your studio consist of? A lot of gear, too much to mention! Basically, the main set up is a ProTools TDM set up on an Intel Mac with UA cards and a Digi D-Command (mini Icon). I also have many synths; Novations, Roland, Korg, etc. Native Instruments Maschine, PC laptops, and Mac non Intel for some synth and audio processing and of course a portable rig which is a Mac Book Pro (17") Intel, Euphonix Controller, UA card running ProTools 9 and Ableton Live 8. After spending some time with DrumCore, would you say it helps with the writing process? It helps in every way I work! I would say when I am working with more "live" drum type song it is essential. I use the MIDI in DrumCore more than the audio loops. In fact, I have never used the audio loops. I like to program what I hear so with the MIDI it allows me to move notes around, overdub, etc. I love taking different feels from the great library and moving MIDI around to make my own beats. Has or will DrumCore sounds find their way into your demos or final productions? Masters it already has! Final productions! Do you have any advice for aspiring producers? Well, do not be intimidated with gear or big studios, just make music the way you know. Always be fearless in what you do. We need leaders, not followers! "I use the MIDI in DrumCore... I love taking different feels from the great library and moving MIDI around to make my own beats."